Jessica performed on Show 326 in Cleveland, OH, on June 7, 2016. 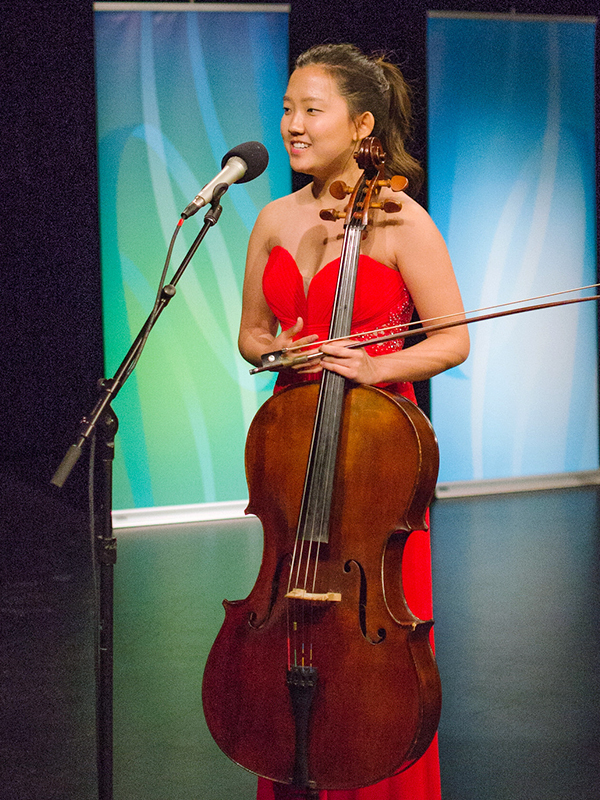 Jessica Hong (cello), 18, is from Holmdel, New Jersey, and attends Holmdel High School. She studies cello with Minhye Kim, in Juilliard’s Pre-College. She has been invited to numerous festivals, where she had opportunities to study with eminent cellists such as Laurence Lesser, Myung-Wha Chung, and Lluis Claret. Outside of music, she enjoys photography, reading, and being outdoors.